— An Orbital Sciences' Antares rocket carrying a commercial unmanned cargo spacecraft bound for the International Space Station exploded just seconds after launching from the Wallops Flight Facility in Virginia on Tuesday evening (Oct. 28). The cause of the mishap, as Orbital described it, is still to be determined. "What we know so far is pretty much what everyone saw," Frank Culbertson, Orbital's executive vice president and a former astronaut, told reporters during a press conference on Tuesday night. "The ascent stopped, there was some, let's say, 'disassembly' of the first stage, and then it fell to Earth." "We don't have any early indications of what exactly might have failed. We need some more time to take a look at that," he said. At 6:22 p.m. EDT (2222 GMT), 15 minutes after sunset, the 139-foot (42 meter) Antares rocket launched from the Mid-Atlantic Regional Spaceport's Pad 0A at Wallops. The booster slowly climbed skyward, riding on a pillar of flame that was being generated by two modified AJ-26 engines built in the 1970s for use with the former Soviet Union's N-1 moon rocket. 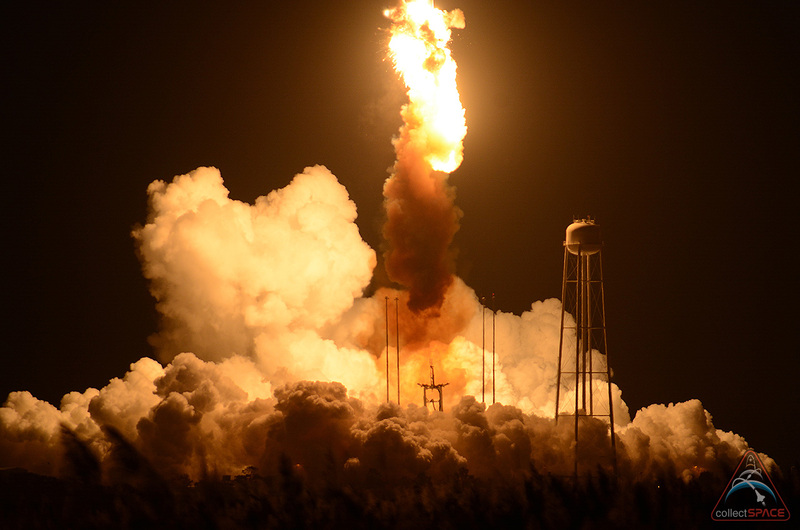 Sitting atop the Antares was a new, larger second stage solid rocket motor and Orbital's unmanned Cygnus cargo freighter packed with 5,050 pounds (2,290 kilograms) of science experiments, spare parts and non-critical supplies for the space station's crew. Among the payload highlights were the experiment hardware to visually analyze meteor dust, a high-pressure tank to recharge the station airlock's nitrogen supply, and a test cubesat for the private asteroid mining company Planetary Resources. The Cygnus, which for this flight had been christened the SpaceShip Deke Slayton after the Mercury astronaut, was scheduled to arrive at the space station on Nov. 2. 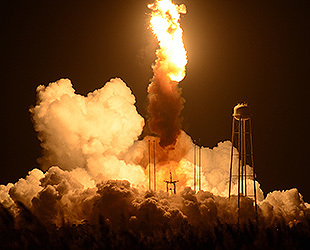 Instead, the Antares began to break apart some 10 to 12 seconds into flight when it was just hundreds of feet over its launch pad. "We know that range safety initiated the flight termination system around 20 seconds, maybe a little bit before, so most of this happened in the first 20 seconds," Culbertson said in response to a question from collectSPACE. 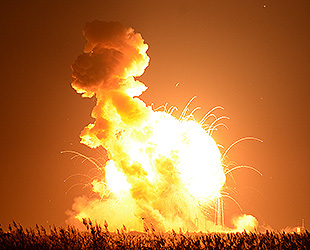 Orbital and NASA confirmed that there were no casualties and that property damage was limited to the south end of Wallops Island. A more complete survey of the area was expected to begin once daylight broke on Wednesday. Culbertson warned local residents and visitors to the area to report finding any debris. "The investigation will include evaluating the debris that we'll find around the launch pad and everything associated with that," Culbertson said. "I do want to caution the public — this is an accident site, this is a rocket, and it has a lot of hazardous material onboard that people should not be looking for or wanting to collect souvenirs." Any debris that is found, whether in people's yards or after washing up on shore, should not be touched and reported to the local authorities, he advised. Orbital will lead the investigation seeking the root cause of the mishap, with support from the FAA (Federal Aviation Administration) and NASA. 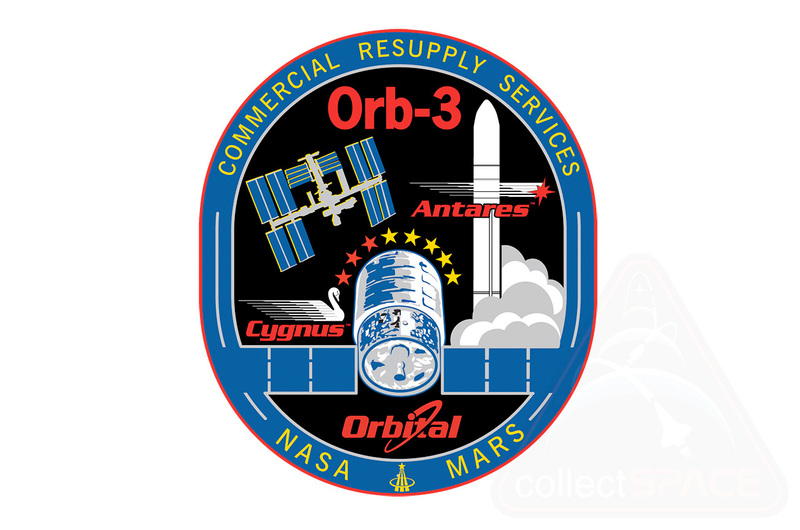 Per the terms of its $1.9 billion eight-flight contract with the space agency, Orbital will be responsible for compensating NASA for the loss. 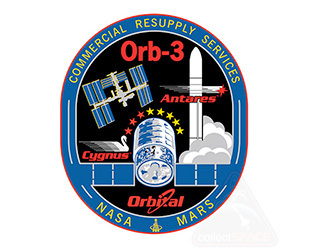 "While NASA is disappointed that Orbital Sciences' third contracted resupply mission to the space station was not successful today, we will continue to move forward toward the next attempt once we fully understand [the] mishap," Bill Gerstenmaier, NASA's lead for human exploration and operations, stated. "The crew of the space station is in no danger of running out of food or other critical supplies." 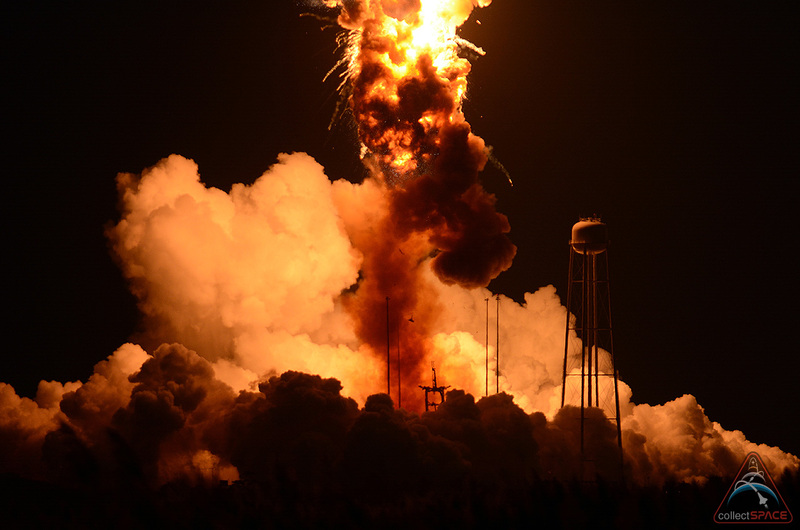 Tuesday's flight marked the fifth launch and first failure for the Antares rocket. The Deke Slayton was the company's fourth Cygnus spacecraft. 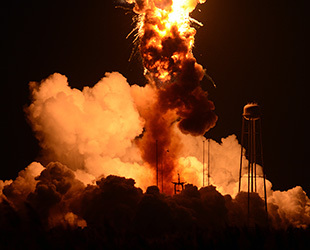 "It is a tough time to lose a launch vehicle like this," said Culbertson. "It's not as tragic as losing life associated with it.... all we lost was cargo. That hardware however, is very valuable to the company and to our customers." "Our team worked very hard to prepare it, we conducted a lot of testing and analysis to get it ready for this mission, however something went wrong and we'll find what that is," he said. "We will come back and fly here at Wallops again hopefully in the very near future."